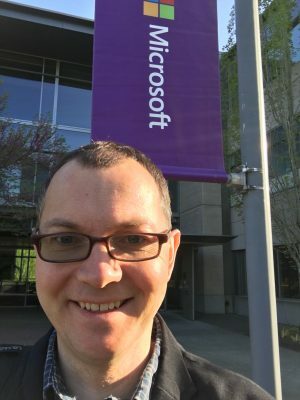 My first week as a Microsoft employee is complete and I’m excited! This is my new office building! Not only has it been a dream of mine to work for Microsoft, but it’s also a great time to be at Microsoft. I expect I’ll write more about that in the coming months. For now, I’m focused on SharePoint End User Content. If you haven’t heard, Jeff Teper is streaming a live event on The Future of SharePoint on May 4th. Register for free to watch from your desk. Even if you can’t make the event, expect a lot of news to come out of it. I’ll be following closely, myself and expect I’ll have some things to share about what I’m already starting to work on. One thing I do know now, that I didn’t realize a couple months ago is that the future for SharePoint is brighter than I thought. I’m excited to be presenting at SharePoint Fest DC coming up later this week and the Collab 365 Summit in May. Feel free to stop by my sessions and say hi!